House is a tear down. Rare opportunity to own this desirable piece of land in Saratoga. Close to Saratoga downtown . One of a kind! Very flat and build-able. One Family owned since 1942 . Please do not go onto property with out an appointment with listing agent. You will be delighted with the location and the privacy this property offers. Needs to be seen to be appreciated. Your chance to make an exclusive family estate ! Once in a lifetime opportunity. Don’t miss it! Listing agent has conceptual drawing for 9 homes drawn by appraiser.This drawing should not be relied upon for buyers intended use. Will likely require changes from city of Sartoga. Buyer will need to get entitlements for development. 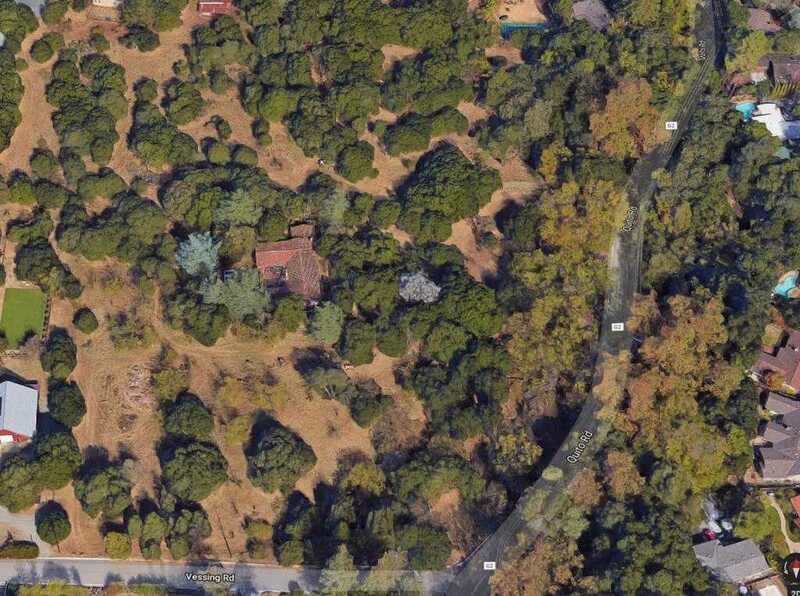 I would like to schedule a showing appointment for this property: MLS# ML81722807 – $15,999,000 – 14521 Quito Rd, Saratoga, CA 95070.